The bathroom is the most intimate ambience in your home and, consequently, you should dedicate to your bathroom design all the passion, taste and love for the details, which you dedicate to every room in your home! Bathroom furniture is an important type of décor that can make your home even more gorgeous. Bathroom furniture, just like other rooms’ furniture, should be functional and practical, without forgetting the importance of creating a beautiful and harmonic environment; modern bathroom furniture to satisfy all exigencies. In most cases, bathroom furniture should be placed on the base of the size and availability of the room; beautiful and functional bathroom furniture for an ever neat and tidy home! Find out the wide range of modern furniture ideas for bathroom, from the simplest to the most refined… bathroom furniture for any exigency! The bathroom décor should be well designed before turning it into reality; the bathroom furniture elements can be placed on the base of their dimension and function; houses are always more and more limited in space, so it is necessary to choose pieces of furniture that could meet your space needs. An optimal solution is represented by suspended toilets, which allow you to maximize space in a smart and functional way. Even playing with the light effect of the mirror could help the room look larger! Modern bathroom design ideas for all exigencies and tastes! Bathroom décor… the most intimate room in your home! 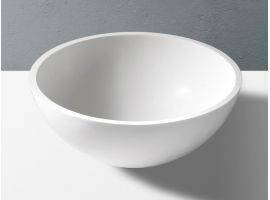 Amanda 02 is a simple, yet functional and practical furniture composition for the bathroom! 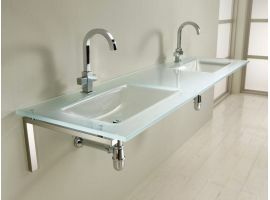 Composed of bathroom mirror, floating sink cabinet with drawer and bathroom cabinet. Really practical, functional and lovely bathroom cabinets for a gorgeous bathroom décor! 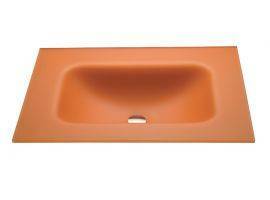 Atina 03 will be perfect for your bathroom design! Composed of floating cabinets… it will make the difference! These bathroom pieces of furniture are extremely chic and elegant and they will make your bathroom neat and liveable! Asia 03 is a composition of bathroom furniture elements composed of: cabinet with structure in MDF 18 mm. Coated in polymer cover bleached oak finish, featuring shiny aluminium feet. Top in shiny white Mineral marble. Bleached oak mirror frame. Chrome finishes handle and lamp. Amanda 01 is a bathroom furniture composition, featuring floating cabinet and bathroom mirror; the floating cabinet is provided with drawer and comes in many different colours! Choose the perfect colour to decorate your bathroom. 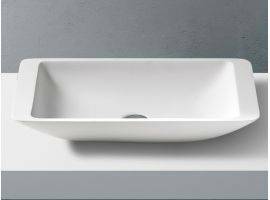 The bathroom design will have to satisfy diverse exigencies… sink furniture, that will be functional and will come in the right dimension. 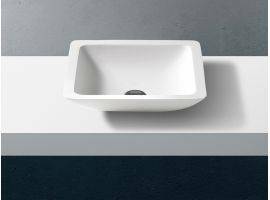 Among our sink furniture components, you will find Ninfea 02; this sink furniture element is both functional and beautiful and will be the best solution for your bathroom design! 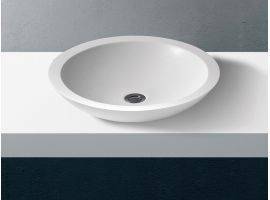 If you love outstanding and peculiar shapes, Ninfea 09 will be perfect for your bathroom furniture! 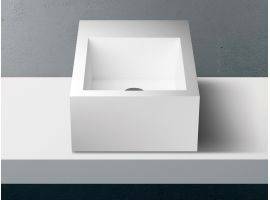 This extremely elegant sink furniture is composed of towel holder and round sink top in ceramic that will really make the difference! 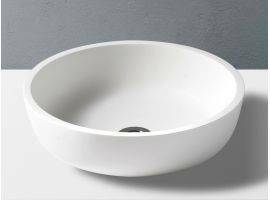 Your bathroom furniture will stylishly stand out thanks to these wonderful bathroom elements. Ninfea 04 is another sink cabinet of a captivating and particular aspect; floating cabinet that supports the ceramic sink and a small cabinet where you can store your hair-dryer, hair straightener, creams, and anything else you need to have at hand. Finishes are available in different nuances… choose which one is the most suitable for your bathroom! 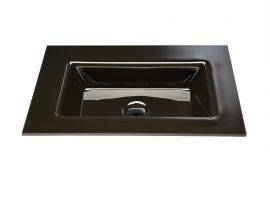 Giunco 05 is a sink cabinet composed of: base for sink top and suspended cabinet with two drawers. 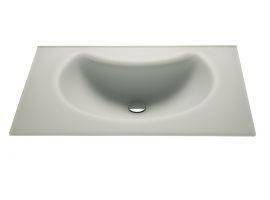 The round ceramic sink, supported by the cabinet, makes the ambience really sophisticated and chic. Bathroom furniture always trendy and fashion for your home, that will stand out in any occasion! 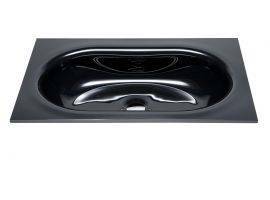 Arca 02 is a modern and unique bathroom composition! The bathroom cabinet is composed of two drawers, which come in large dimension, useful to store everything you need! 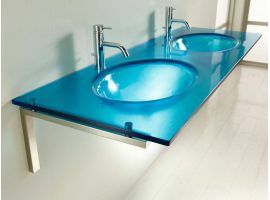 The bathroom mirror is equipped with light and polished edge. This elegant furniture composition for bathroom will make it even more refined. Bathroom furniture for all needs and tastes! Choose your favourite bathroom furniture elements and make your most intimate room special.